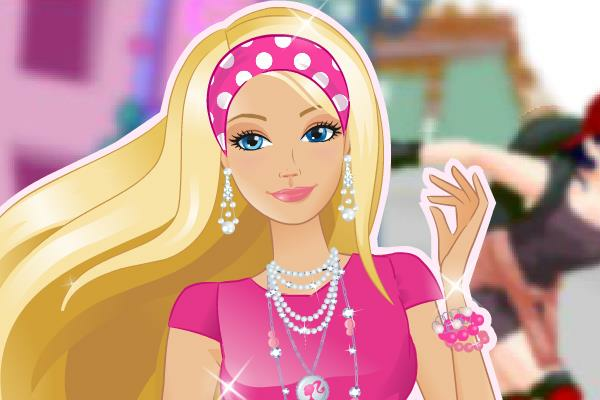 Barbie is on roller skates in this colorful and fun dress up game. Barbie loves to skate but she can't decide what to wear today, can you help Barbie out and try some new hair color. Did you know that Barbie first appearance was on March 9th in the year 1959 and was manufactured by the American toy-company Mattel Inc. What is your favorite Barbie doll?